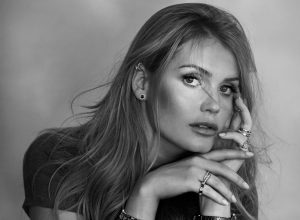 Given her background and family connections, Kitty Spencer could easily spend the rest of her life doing nothing. She could ride out her time at high society parties and attending the odd fashion show before marrying well and leading the sort of life Made in Chelsea stars aspire to. Even if she wanted to lead that existence, she’d struggle to – Spencer was born with a sense of empathy and justice that means that a purely hedonistic lifestyle is not an option. Like her late aunt, Diana Princess of Wales, and her cousin, the Duke of Cambridge, the 27-year-old is a Centrepoint ambassador – the charity that helps young homeless people off the streets and back into work. She’s also raised money for Save The Children and the Elton John AIDS Foundation, but it is homelessness – an unpopular cause that is often forgotten -that she feels the most strongly about. Spencer finds it hard to detach herself from the tragedy and injustices of the young people she works with at the charity, but concedes “that’s how it should be”. For her fighting for those who are ignored by the majority trumps any distress she feels when she gets home. Although Spencer has a strong social conscience, her Instagram account – filled with pictures of her modelling, posing in beautiful parts of the world and having dinner with celebrities – is a testament to her privileged upbringing. How does she reconcile her background and glamorous lifestyle with her charity work? There is a sense that Spencer doesn’t do anything, whether philanthropy or modelling, unless she truly feels passionately about it. Having recently been hired as an ambassador for luxury Italian jewellery brand Bulgari, she explains that she has always had an “affinity” to Italy and lived there briefly while she was studying. Indeed, she counts truffle-covered pizza and pasta as her ultimate guilty pleasure. 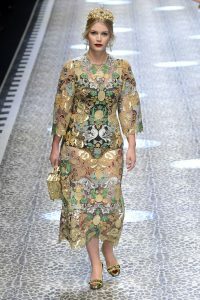 Her connection to Italy has also led to a Dolce & Gabbana campaign and catwalk appearances. She adds that her modelling work has expanded her social circles and exposed her different types of people in a way she wouldn’t have experienced otherwise. Spencer also credits the industry for having given her a stronger sense of self. What Spencer has become very good at is the art of maintaining privacy in a world obsessed by her family. The daughter of the Earl of Spencer and Victoria Lockwood, she grew up in South Africa where she was given an “idyllic” childhood largely free of the media and press intrusion that have blighted some of her family. Far from moaning about the trials of being followed by photographers, she has a very pragmatic approach to the issue. She counts her heroes as Sofia Loren and Diane von Furstenberg, two women who grew up in difficult circumstances but whom fought adversity and became huge successes in their respective fields. Spencer is still working on what she wants from the future, but she has a clear idea of who she wants to become – and, by the sounds of things, she’s already there. Indeed, the Spencer family traits of benevolence and empathy show no signs of waning. She’s joined by members of the Royal Family in Windsor. Using only the best natural and organic ingredients, this revitalising mask leaves you fresh-faced.